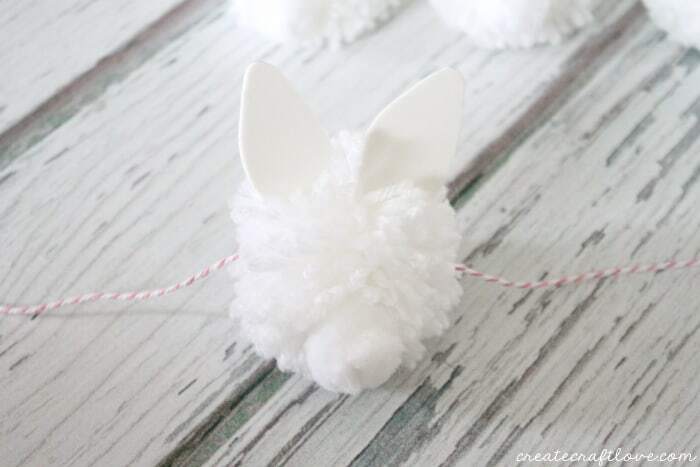 If you are looking for specific instructions on creating the poms, check out my DIY Snowball Fight! I made ten poms for this project. Start with a plain pom. Cut bunny ears out of white craft foam. 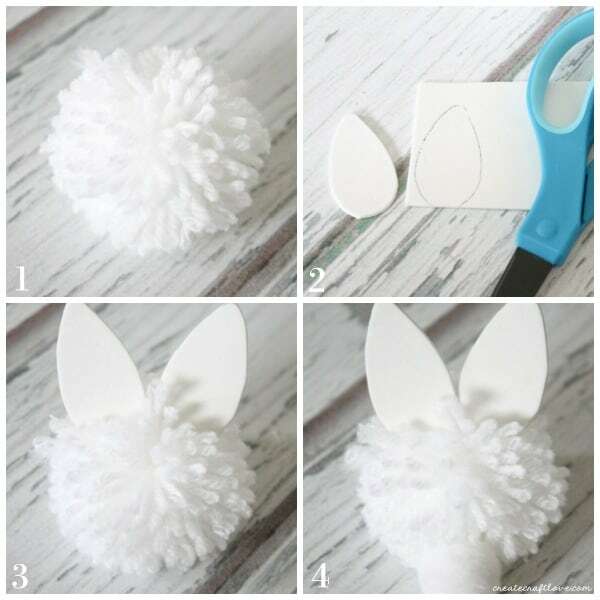 Hot glue bunny ears to top of pom. Hot glue white pom to bottom of pom. 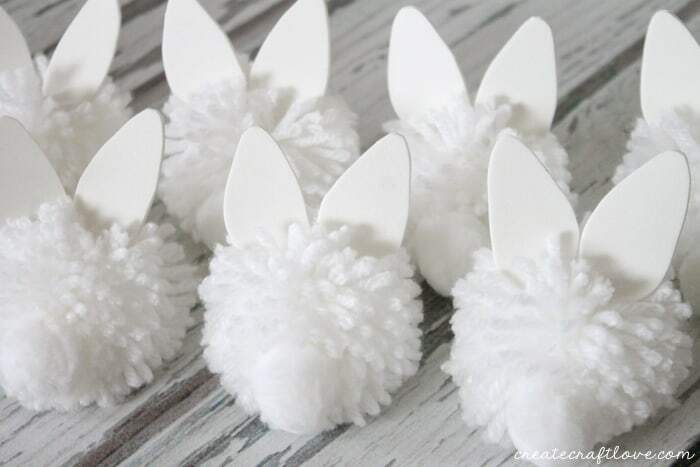 Continue making the bunny poms until you have your own little bunny army! Next, I grabbed some pink and white baker’s twine to string them up. 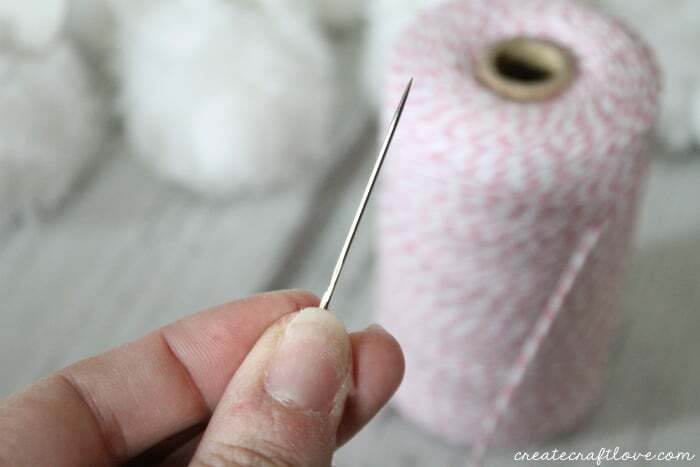 Using a large needle, begin threading the bunny poms onto the baker’s twine. 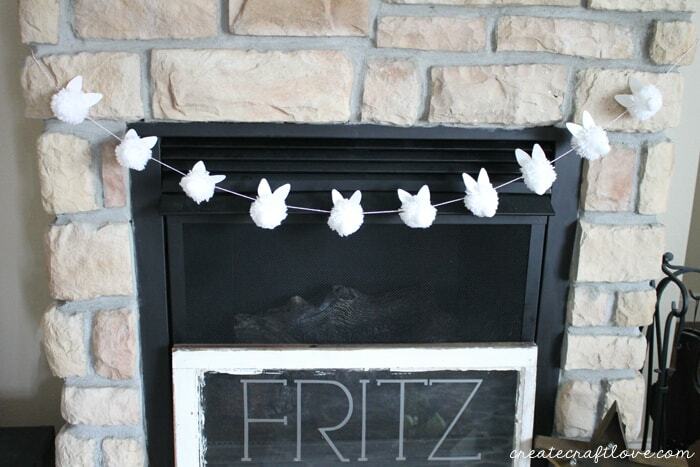 Keep stringing them up until all of the bunnies are on the baker’s twine. Isn’t it adorable?! I just love their little bunny butts! 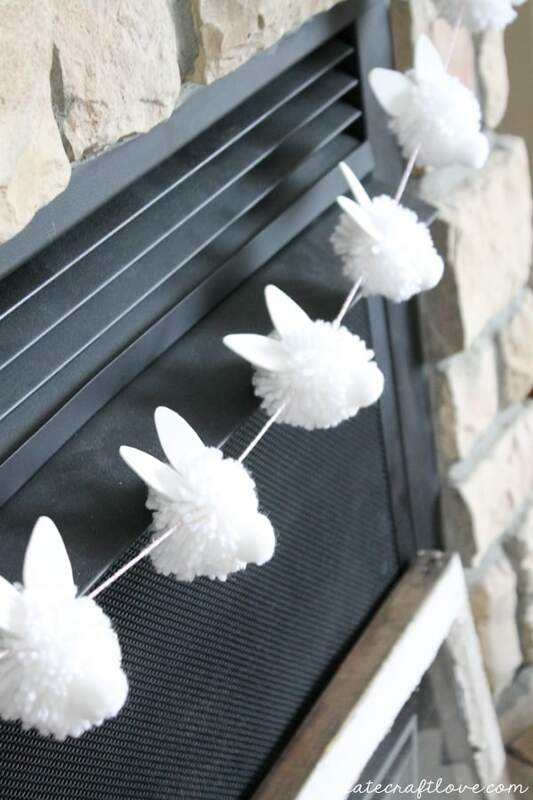 They look so cute hanging over my fireplace. 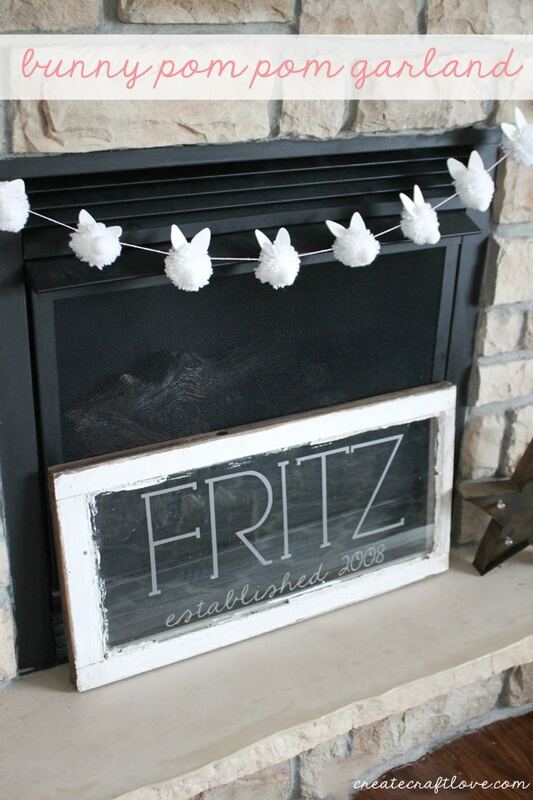 The kids can totally get involved with this craft! Just make sure the adults handle the glue gun!